The Action Sprint Tour rolls down the front straightaway in four-wide formation during their 2018 stop at Brighton Speedway. (Photo by Dale Calnan/Image Factor Media). OHSWEKEN, Ont. 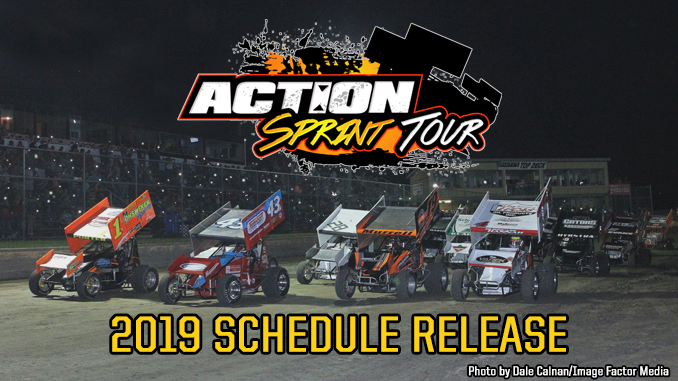 – January 29, 2019 – After a successful inaugural season in 2018, the Action Sprint Tour (AST) is excited to announce a 10-race schedule in 2019 that will see the series visit five different Ontario race tracks for its second campaign. The series will once again boast a $10,000 point fund with each race paying at least $600-to-win and $100-to-start the main event. July will be the busiest month on the calendar for the Action Sprint Tour with four races on tap. 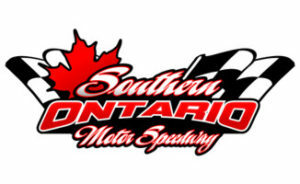 The Tour will spend Canada Day at Merrittville Speedway with a special July 1 date. Two weeks later, the tour visits Humberstone Speedway for the second time on July 14. Then, on July 23 the Action Sprint Tour makes the first of two stops at its home track, Ohsweken Speedway, for a mega mid-week show that will feature Sprint Car stars Tony Stewart, Christopher Bell and Rico Abreu in 360 Sprint Car competition. The month then wraps up five days later with the third and final stop at Merrittville on Saturday, July 27. Mon. May 20 – Merrittville Speedway – Thorold, Ont. Sat. June 8 – Southern Ontario Motor Speedway – Merlin, Ont. Mon. July 1 – Merrittville Speedway – Thorold, Ont. Sun. July 14 – Humberstone Speedway – Port Colborne, Ont. Tue. 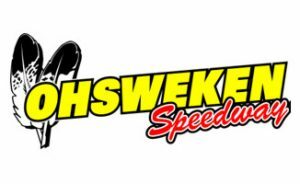 July 23 – Ohsweken Speedway – Six Nations, Ont. Sun. August 11 – Humberstone Speedway – Port Colborne, Ont. Sat. 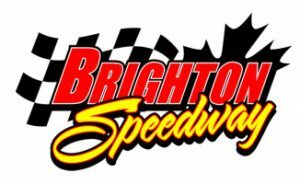 August 17 – Brighton Speedway – Brighton, Ont.